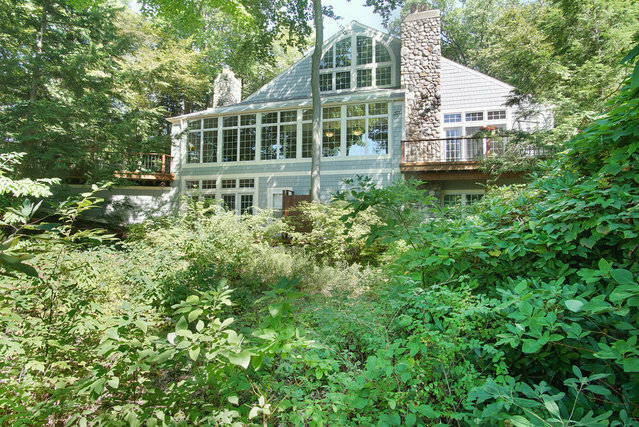 Panoramic views of Lake Michigan await you in this beautifully crafted, coastal inspired home. Full of light and beautiful details, this Grand Haven residence was crafted for gathering. Boasting 120’ of bluff frontage, a short walk is the only thing between you and the sugar sand beach. The open-concept kitchen is outfitted in state of the art appliances and a walk-in pantry, a budding chef’s dream come true. With a fireplace on all three floors, white washed flooring, and double tiered decks, this timeless home was made for the lakeshore. The expansive open concept and multiple bedroom construction makes this home perfect for enjoying the lakeshore with those you love. This home is part of a gated community, and guarantees your privacy as soon as you enter through the gates. Every single detail in this residence was considered to make this the most serene home you could possibly dream of.